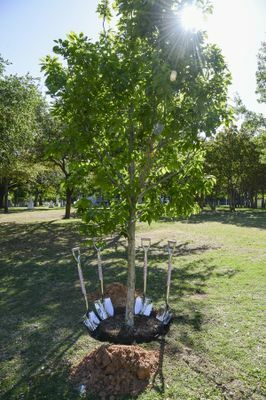 In celebration of National Arbor Day, the City of Dallas and Mary Kay Inc. dedicated the Mary Kay Ash Grove on April 25, 2014 outside the Kay Bailey Hutchison Convention Center. 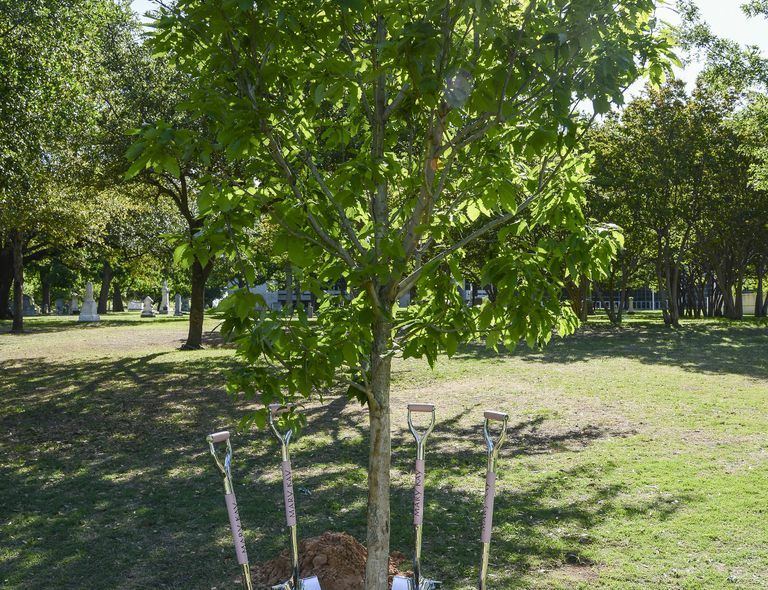 This outdoor green space is part of Mary Kay’s Pink Doing Green initiative to plant 1 million trees in the U.S. through a partnership with the Arbor Day Foundation and guidance from the U.S. Forest Service. In celebration of National Arbor Day, the City of Dallas and Mary Kay Inc. dedicated the Mary Kay Ash Grove on April 25, 2014 outside the Kay Bailey Hutchison Convention Center. This outdoor green space is part of Mary Kay’s Pink Doing Green initiative to plant 1 million trees in the U.S. through a partnership with the Arbor Day Foundation and guidance from the U.S. Forest Service. 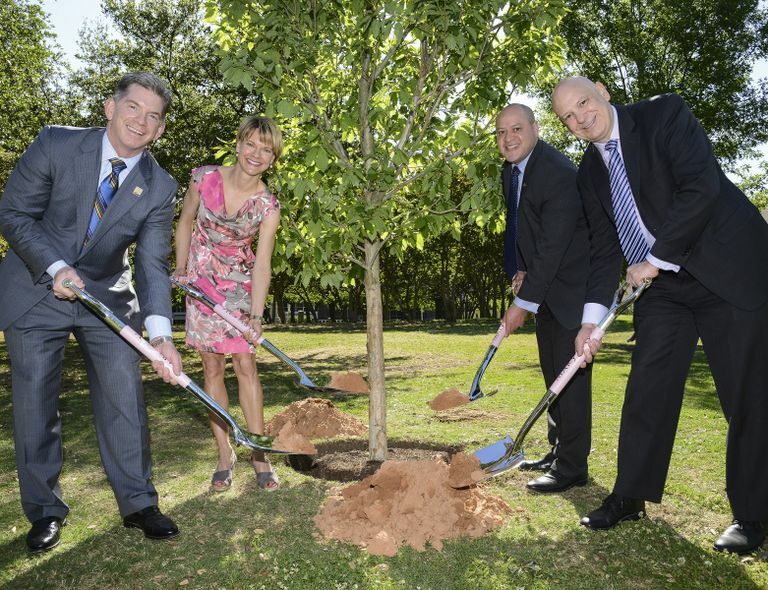 Pictured from left: Nathan Moore, Chief Legal Officer for Mary Kay Inc.; Dr. Beth Lange, Chief Scientific Officer for Mary Kay Inc.; Adam Medrano, Dallas City Council District 2; and Ron King, Director of Conventions and Events for the City of Dallas. 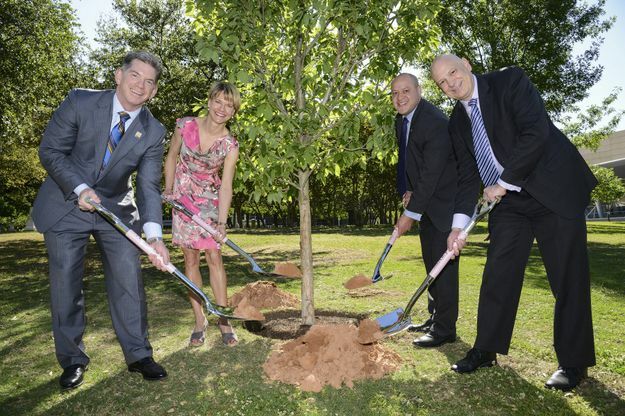 DALLAS – April 25, 2014 – In celebration of National Arbor Day, the City of Dallas and Mary Kay Inc. dedicated the Mary Kay Ash Grove in Pioneer Park outside the Kay Bailey Hutchison Convention Center. 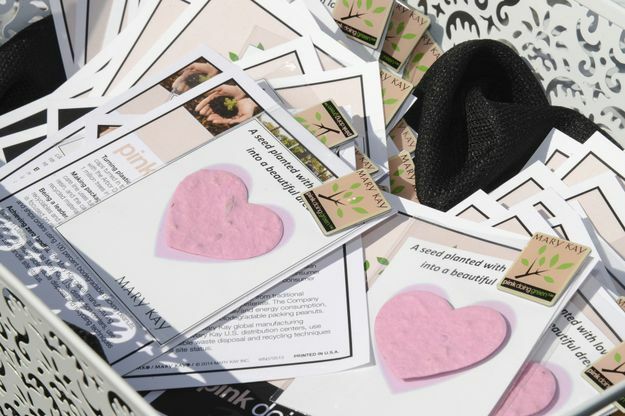 This outdoor green space is part of Mary Kay’s Pink Doing GreenSM initiative to plant 1 million trees in the U.S. through a partnership with the Arbor Day Foundation and guidance from the U.S. Forest Service. The Mary Kay Ash Grove is home to more than 50 trees each planted in honor of company founder Mary Kay Ash who started the now global beauty company more than 50 years ago. 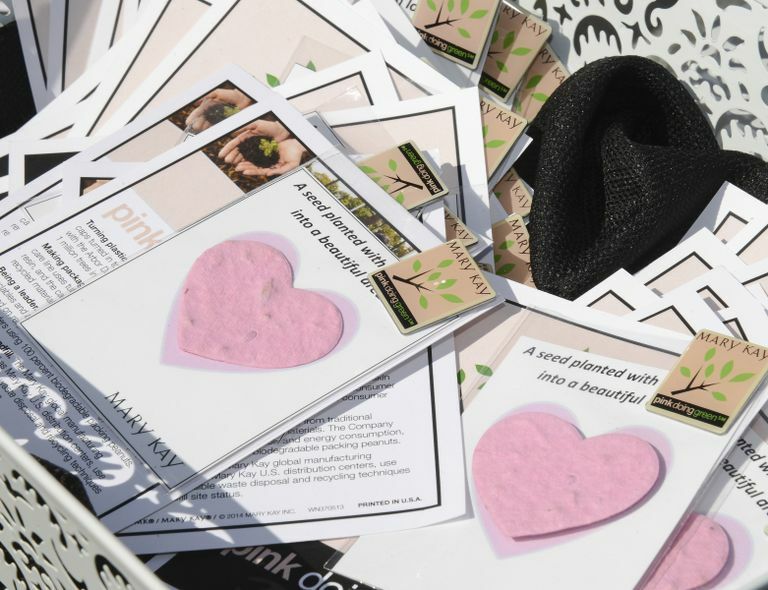 Joining in the celebration were representatives from Mary Kay’s Pink Doing Green Team, staff from the City of Dallas and representatives from the Texas Trees Foundation.